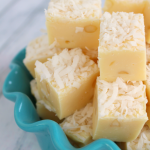 Salty and sweet come together for the most amazing gooey treat! 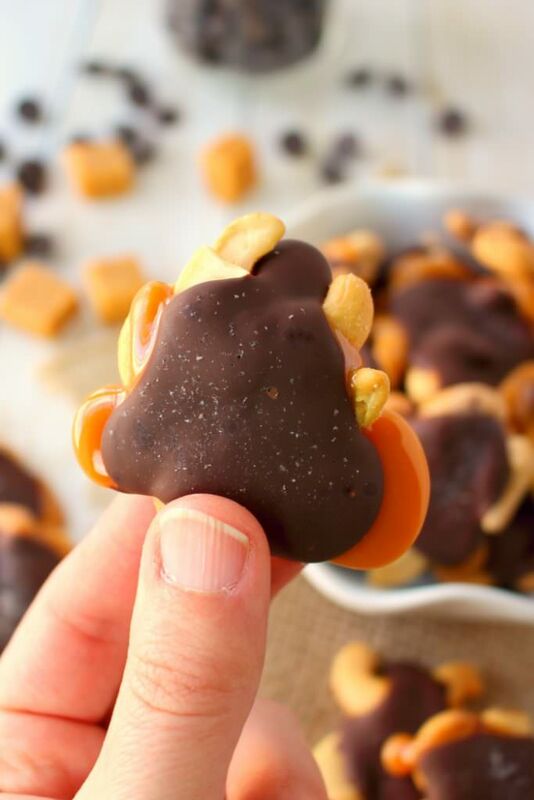 These Chocolate Caramel Cashew Clusters are simply made with just four ingredients, making them the perfect Christmas candy! Fantastic for gifting, cookie exchanges, holiday parties or anytime you need to satisfy your sweet tooth! I would venture to say that one of my all-time favorite sweet treats is caramel. 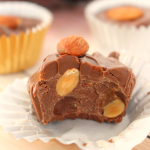 When paired with chocolate and nuts, you can stop me in my tracks! I blame my love of this sweet treat on my father. Not only does he have a fierce sweet tooth that he lovingly passed on to me, but Dad also loves caramel treats just as much as I do. 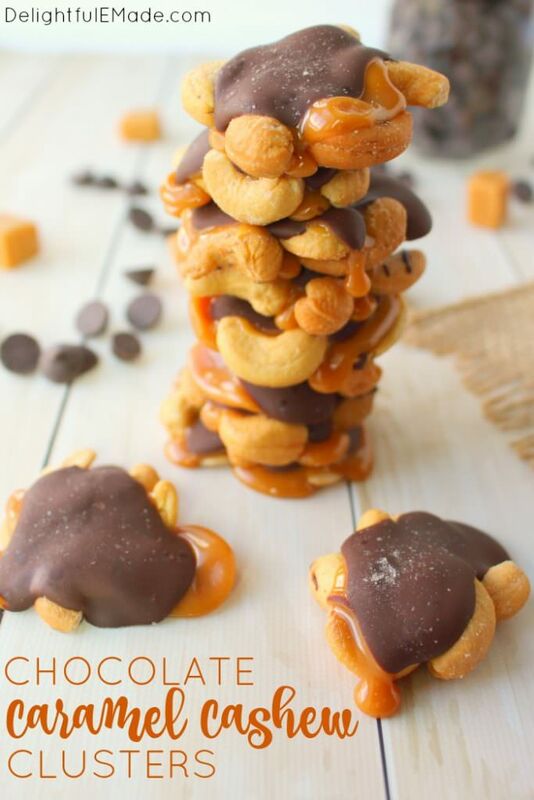 I especially love a salty-sweet treat, and these Chocolate Caramel Cashew Clusters do not disappoint! 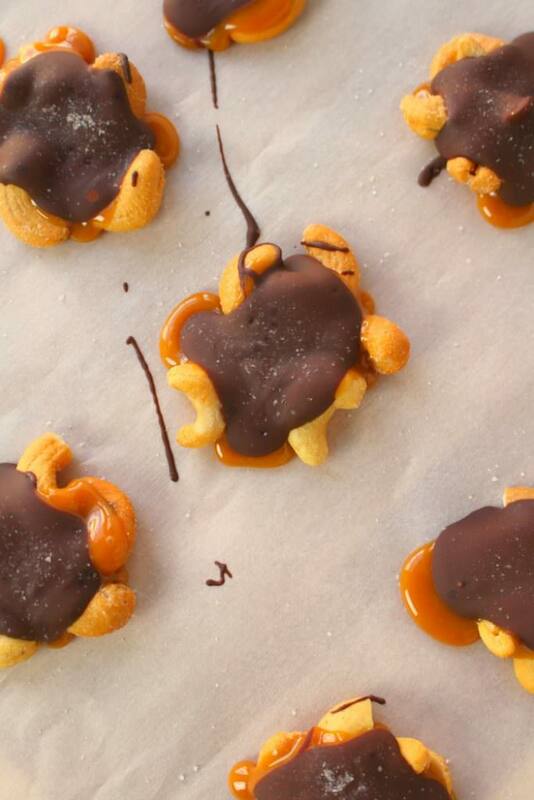 Not only are these sweet treats delicious, they are incredibly easy to make! With just four ingredients, they come together in minutes – no baking required! 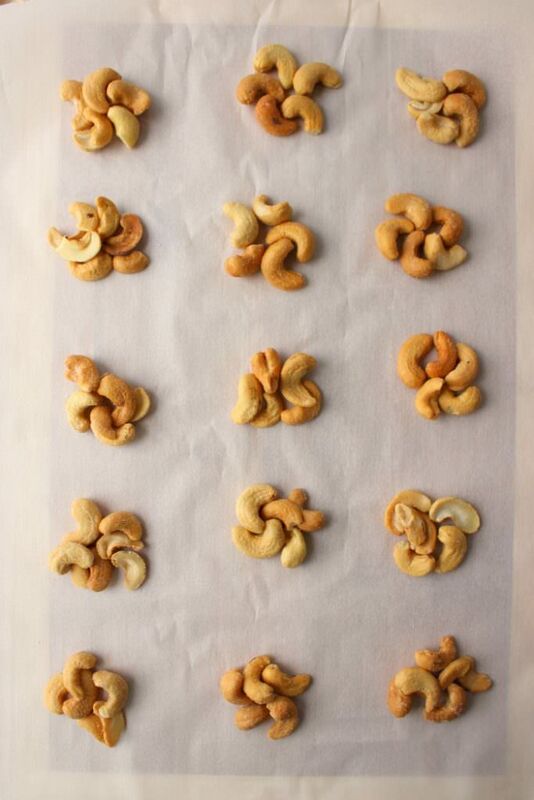 You’ll start with simple salted cashews. I basically bought a package of jumbo salted cashews at Target. It was a perfect amount making about 24 clusters. As you can see from the photo above, I started with about 5-6 cashews clustered together on a sheet of parchment paper. I didn’t roast these or do anything special – simply placed them on the paper. The next step is melting the caramel. I used a simple package of caramel bits, and melted them in the microwave according to the package directions. I believe the package specifies adding 1 Tbsp. of water to the caramel bits and microwaving in 1 minute increments, stirring until smooth. 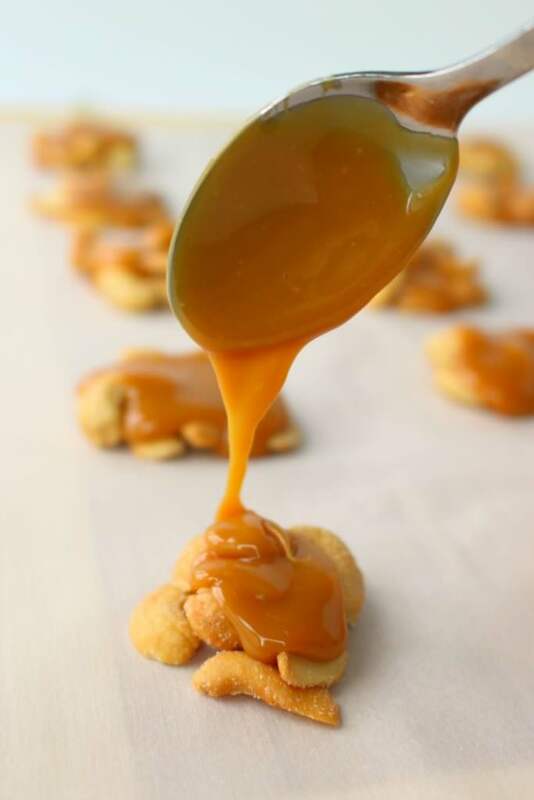 Once the caramel is smooth, using a simple spoon, drizzle approximately a tablespoon amount of caramel over the top of each cluster of cashews. This certainly does not have to be exact. In fact, most of your clusters will not look uniform – that’s okay. They will still taste remarkably delicious! The next step is to do the same step with chocolate. I used good quality dark chocolate chips (about 67% cocoa), approximately 1 1/2 cups. 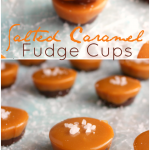 Like the caramel, melt these according to package directions. Stir until smooth and completely melted. 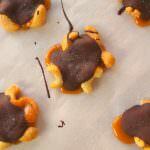 Drizzle about 1 tablespoon worth of chocolate over the top of each caramel cluster. Once you’ve drizzled each cluster with chocolate, top with a sprinkling of salt. To some, this may be a bit unorthodox, however, the salt truly brings out the amazing flavor in the chocolate. 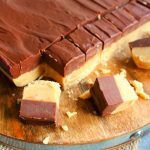 It pairs wonderfully with the caramel, and brings together all of the flavors in this remarkably simple treat. Simply let the clusters set at room temperature to harden. If you’re in a hurry and need the clusters to set up quickly, slide the sheets of clusters (while still on the parchment paper) to baking sheets, and refrigerate. They will set up promptly in about 20-30 minutes. These delicious caramel chocolate treats are perfect for gifting to friends and neighbors in pretty holiday packaging. 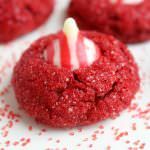 They’re fantastic for Christmas cookie exchanges, and are always the first treat to disappear on a holiday cookie tray! 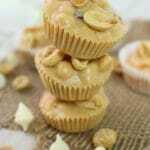 You’ll quickly discover that you’ll want to make these as a yummy snack well beyond the holidays. Now that you know how easy they are to make, simply whip up a batch anytime your sweet tooth beckons! On a work surface lay out large pieces of waxed or parchment paper. Place clusters of approximately 5-6 jumbo cashews together, leaving a few inches in spacing. Melt caramel according to package directions in the microwave. Drizzle about 1 tbsp. 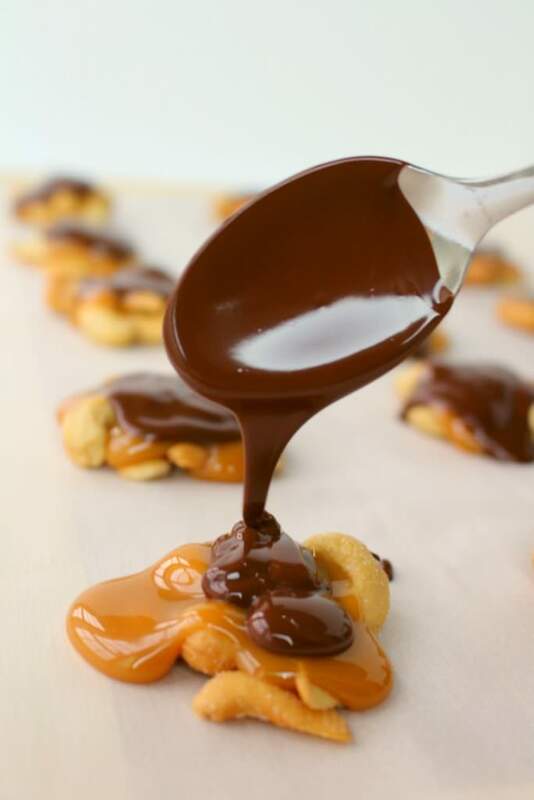 of the melted caramel over the top of each cluster of cashews. Melt chocolate according to package directions in the microwave. Drizzle about 1 tbsp. 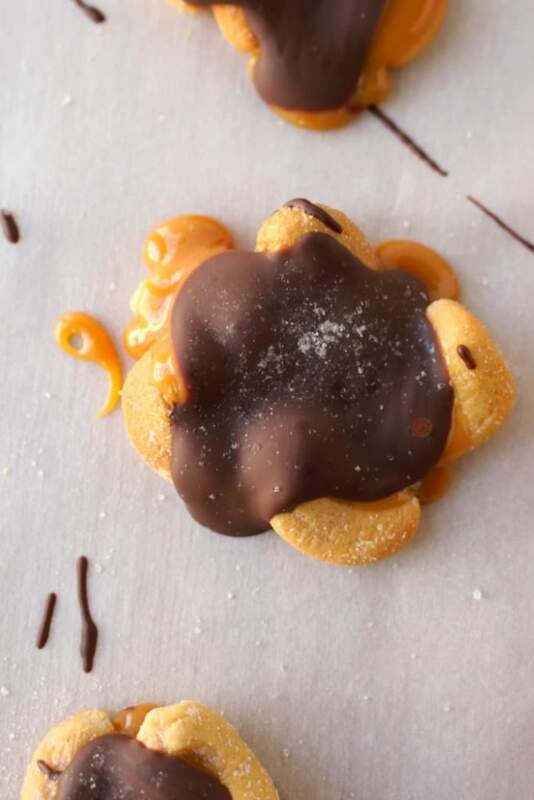 of the melted chocolate over the top of each caramel cashew cluster. Sprinkle each cluster with a pinch of sea salt flakes. Let the clusters set and harden at room temperature. Store in an airtight container or refrigerate. Will keep refrigerated for up to 2 weeks. Mmmm - reminds me of bear claws! Thanks for sharing on the What's for Dinner link up! You had me at Cashews and caramel Erin! What a perfect share for Fiesta Friday! thanks! Pretty sure I just found the perfect homemade gift for my parents this year; thanks! Pinned. oh my - I might need to eat four or five of these beauties! Thanks for sharing at the What's for Dinner party! 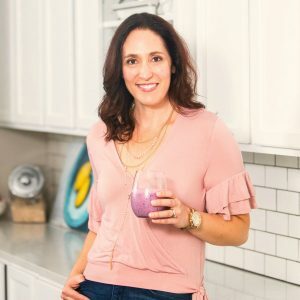 Erin, These look incredibly delicious! Thank you for sharing at Share Your Style! Oh, my everything I love. I wouldn't be able to stop eating these. Thanks for sharing at the Snickerdoodle Create Bake Make Party.